New technology is emerging every day and it can be a challenge to keep up with the latest and greatest. With your busy schedules, there’s never enough time to try everything that’s new and cool before the next best thing is released. And that’s where the DAHLIA+ team can can help! 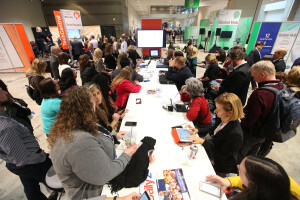 We keep up with the latest trends, tools, and solutions for you—and will help you showcase the tech we love and believe will benefit you and your attendees through a DigiTechBar. What is a DigiTech Bar? 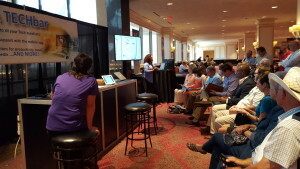 The Tech Bar + sessions were phenomenal! I highly suggest we continue the services going forward. Particularly for a seasoned professional coming into the mobile tech age slowly! They helped to update my phone and saved me hours of personal time. Thank you! This alone has been something I have been putting off for months! I love, I mean I love the Tech Bar!! I gained so much relevant information from Tess, Vivian, and of course Dahlia. These ladies are so smart and they make learning bout technology so much fun. 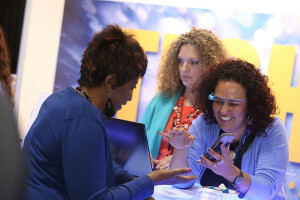 Let us bring an exciting, hands-on technology experience to your next event. Give us 15 minutes to chat and we’ll show you how we can refresh your meeting with new ideas that bring value to your event participants and members. 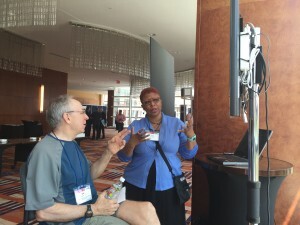 The iPad Learning Curve for Planners: Just Play With It! All content on this website is protected by Copyright owned by Dahlia Plus Inc. All Rights Reserved.